Photo from my visit to La Begue, Centre, Haiti, Aug 2013 after more than 25 years. 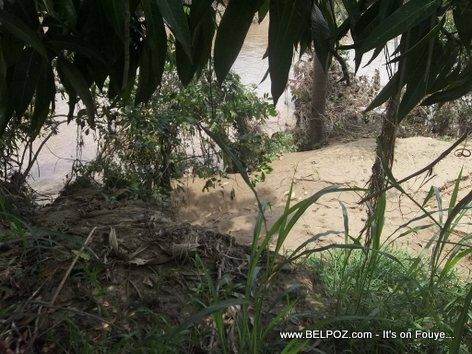 La Begue is a farm land, located along the Guayamouco River. 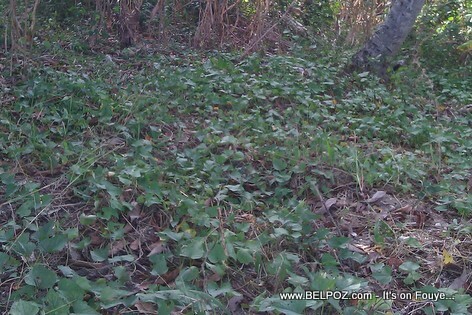 I drove from Hinche to an area called "Savanne Plate" and had to walk the rest of the way to La Begue. 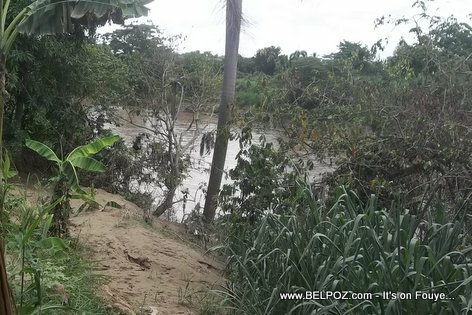 Flooded Guayamouco River in La Begue, Plateau Central Haiti. 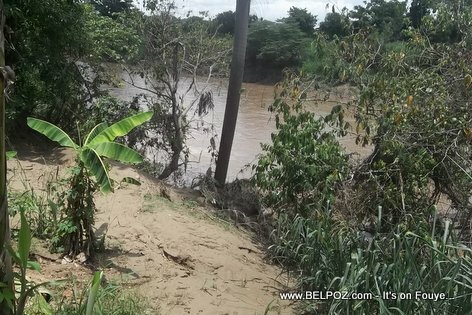 Here is a photo of what happens when the rivers swell up in Haiti, they run through fertile land and erode the soil. 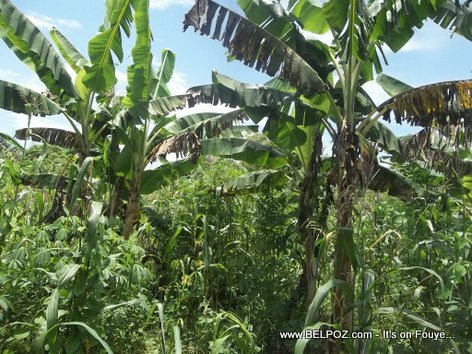 This is my father's farm in La Bergue Haiti. 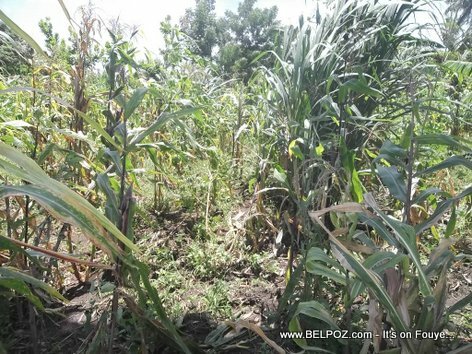 Plateau Centrale Haiti - Fresh Sweet corn is one of the greatest pleasures of summer. 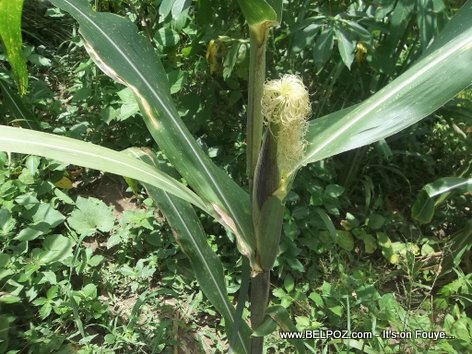 within less than a month, this corn will be ready to eat. 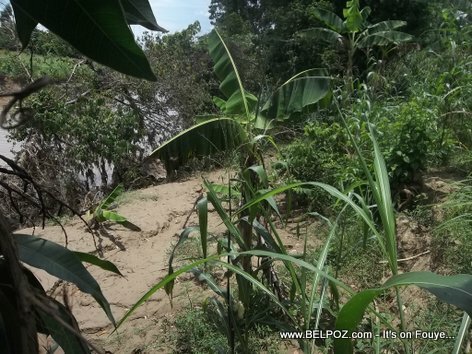 Plateau centrale Haiti - When the Guayamuco river is flooded, it ravages the farm lands in its path. 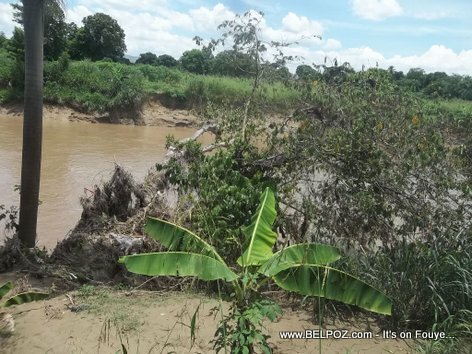 This is actually my father's farm land devastated by the Guayamuco river in La Begue Haiti outside Hinche. 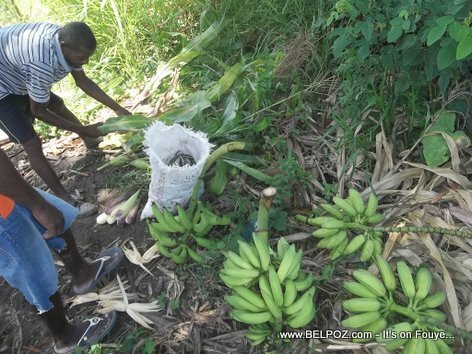 Des regimes de bananes qui sortent de la campagne en Haiti. La banane est un long fruit légèrement incurvé, souvent regroupé sur le bananier en grappes nommées « régimes ».